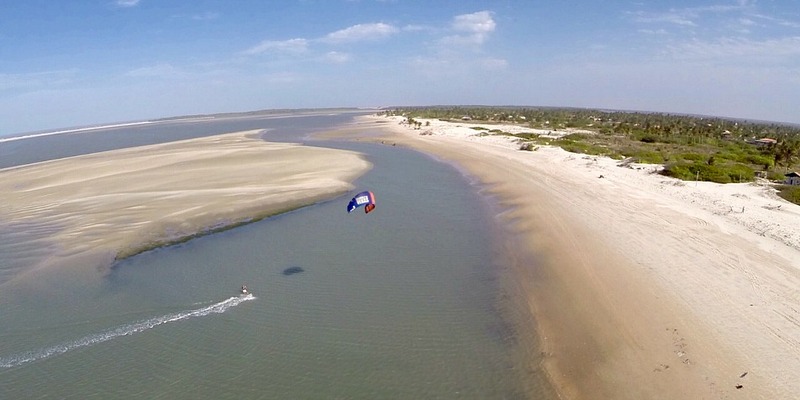 Atins was named as one of the Top 4 Kiteboarding flatwater spots in the world in Kitesurfing Magazine. Between July and December boarders will find ideal conditions in Atins. During this time the vast and sparsely populated beaches are met by constant cross on-shore winds of 15 to 30 knots. Beginners can practice in the huge lagoon in calm and flat waters sheltered by two natural sandbanks whilst the more experienced can venture out to the open sea, where you might find 1.5 – 2.5m waves at the right tide. Other options for boarders include the calm waters of the Preguiças River or the inland lagoons in the Lençóis Maranhenses National Park, the size of which depend on the rains and time of the year (the rainy season generally runs from July to October). Atins has a small Kiteboarding community of riders and experienced instructors, equipment rentals and guided adventures.